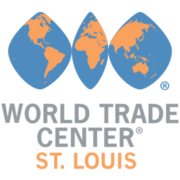 The St. Louis Sister Cities Program is part of the World Trade Center St. Louis’ international mission. Sanctioned by Sister Cities International, the local program supports and coordinates the 15 sister cities programs and provides guidance for those interested in establishing new sister cities relations. Sister Cities International is a nonprofit, city-to-city network inspired by President Dwight D. Eisenhower’s expressed belief in 1956 that citizen diplomacy might reduce the chance of future world conflict. Today, more than 2,200 cities in more than 90 countries participate. The organization advances peace and prosperity through cultural, educational, humanitarian and economic development exchanges, empowering private citizens, civic and business leaders to establish city, county or state relationships with like cities worldwide.